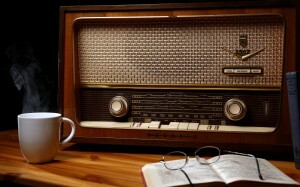 It’s the weekend, so why not relax with some sparkling lawyer-themed old time radio? We’re starting a new OTR series this weekend — Case Dismissed, which aired in 1954 and was brought to the airwaves by the Chicago Bar Association. Was this series over-acted and a bit ridiculous at times? Frankly, yes. However, it was also well written and more than a bit of fun. We’ve got 13 episodes we’ll post in the coming weeks, so give them a chance and enjoy them, huh?